С учетом колоссальной частоты инфекционных заболеваний среди детского населения перед педиатрами стоит задача не просто вылечить пациента, но сделать это в максимально короткие сроки с индивидуальным подходом к каждому ребенку. Одним из основных аспектов диагностики у лихорадящих детей является дифференцирование бактериальной инфекции от вирусной с целью назначения своевременной антибактериальной терапии одним пациентам и предупреждения полипрагмазии у других. Кроме того, немаловажный момент заключается в определении категории пациентов с тяжелой бактериальной инфекцией, требующей наиболее пристального внимания. В статье представлены основные аспекты дифференциальной диагностики бактериальных и вирусных инфекций с учетом клинической симптоматики и лабораторных показателей — концентрации прокальцитонина, С-реактивного белка, лейкоцитов. Даны пределы значений прокальцитонина при различных нозологических формах и возможности их использования при назначении, продолжении или замене антибактериальной терапии в педиатрической практике. прокальцитонин, С-реактивный белок, маркеры бактериального воспаления, лихорадка у детей. Полякова Анастасия Сергеевна - кандидат медицинских наук, врач-педиатр отделения диагностики и восстановительного лечения НМИЦ здоровья детей, доцент кафедры факультетской педиатрии РНИМУ им. Н.И. Пирогова. 1. National Institute for Health and Care Excellence: Clinical Guidelines. London, UK: National Institute for Health and Care Excellence; 2003. 310 p.
3. Yo CH, Hsieh PS, Lee SH, et al. Comparison of the test characteristics of procalcitonin to C-reactive protein and leukocytosis for the detection of serious bacterial infections in children presenting with fever without source: a systematic review and meta-analysis. Ann Emerg Med. 2012;60(5):591–600. doi: 10.1016/j.annemergmed.2012.05.027. 4. Jurado RL. Why shouldn’t we determine the erythrocyte sedimentation rate? Clin Infect Dis. 2001;33(4):548–549. doi: 10.1086/322605. 5. Kaur K, Mahajan R, Tanwar A. A novel marker procalcitonin may help stem the antibiotic overuse in emergency setting. Int J Appl Basic Med Res. 2013;3(2):77–83. doi: 10.4103/2229-516X.117051. 6. Quenot JP, Luyt CE, Roche N, et al. Role of biomarkers in the management of antibiotic therapy: an expert panel review II: clinical use of biomarkers for initiation or discontinuation of antibiotic therapy. Ann Intensive Care. 2013;3(1):21. doi: 10.1186/2110-5820-3-21. 7. Le Moullec JM, Jullienne A, Chenais J, et al. The complete sequence of human preprocalcitonin. FEBS Lett. 1984;167(1): 93–97. doi: 10.1016/0014-5793(84)80839-X. 8. Criticare.chat.ru [интернет]. Зубарев А. Прокальцитонин — новый маркер для диагностики тяжелой инфекции (обзор) // Интенсивная терапия. 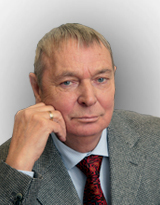 [Zubarev A. Prokal’tsitonin — novyi marker dlya diagnostiki tyazheloi infektsii (obzor). Intensive Care Journal. (In Russ).] [доступ от 01.07.2017]. Доступ по ссылке http://criticare.chat.ru/004.html. 9. Assicot M, Gendrel D, Carsin H, et al. High serum procalcitonin concentrations in patients with sepsis and infection. Lancet. 1993;341(8844):515–518. doi: 10.1016/0140-6736(93)90277-N.
10. Dandona P, Nix D, Wilson MF, et al. Procalcitonin increase after endotoxin injection in normal subjects. J Clin Endocrinol Metab. 1994;79(6):1605–1608. doi: 10.1210/jcem.79.6.7989463. 11. Bohuon C. A brief history of procalcitonin. Intensive Care Med. 2000;26(Suppl 2):S146–S147. doi: 10.1007/BF02900727. 12. Yukioka H, Yoshida G, Kurita S, Kato N. Plasma procalcitonin in sepsis and organ failure. Ann Acad Med Singapore. 2001; 30(5):528–531. 13. Oberhoffer M, Vogelsang H, Russwurm S, et al. Outcome prediction by traditional and new markers of inflammation in patients with sepsis. Clin Chem Lab Med. 1999;37(3):363–368. doi: 10.1515/CCLM.1999.060. 14. Oberhoffer M, Russwurm S, Bredle D, et al. Discriminative power of inflamatory markers for prediction of tumor necrosis factor-alfa and interleukin-6 in ICU patients with systemic inflammatory response syndrome (SIRS) or sepsis at arbitary time points. Intensive Care Med. 2000;26(Suppl 2):S170–174. doi: 10.1007/BF02900732. 15. Linscheid P, Seboek D, Nylen ES, et al. In vitro and in vivo calcitonin I gene expression in parenchymal cells: a novel product of human adipose tissue. Endocrinology. 2003;144(12):5578–5584. doi: 10.1210/en.2003-0854. 16. Dubos F, Korezowski B, Aygun DA, et al. Serum procalcitonin level and other biological markers to distinguish between bacterial and aseptic meningitis in children: a European multicenter case cohort study. Arch Pediatr Adolesc Med. 2008;162(12): 1157–1163. doi: 10.1001/archpedi.162.12.1157. 17. Meisner M, Tschaikowsky K, Hutzler A, et al. Postoperative plasma concentrations of procalcitonin after different types of surgery. Intensive Care Med. 1998;24(7):680–684. doi: 10.1007/s001340050644. 18. Meisner M. PCT, procalcitonin — a new, innovative infection parameter. Berlin: Brahms Diagnostica; 1996. pp. 3–41. 19. Manzano S, Bailey B, Gervaix A, et al. Markers for bacterial infection in children with fever without source. Arch Dis Child. 2011;96(5):440–446. doi: 10.1136/adc.2010.203760. 20. Mahajan P, Grzybowski M, Chen X, et al. Procalcitonin as a marker of serious bacterial infections in febrile children younger than 3 years old. Acad Emerg Med. 2014;21(2):171–179. doi: 10.1111/acem.12316. 23. Shaikh N, Borrell JL, Evron J, Leeflang MM. Procalcitonin, C-reactive protein, and erythrocyte sedimentation rate for the diagnosis of acute pyelonephritis in children. Cochrane Database Syst Rev. 2015;1:CD009185. doi: 10.1002/14651858.CD009185.pub2. 24. Coulthard MG, Lambert HJ, Keir MJ. Do systemic symptoms predict the risk of kidney scarring after urinary tract infection? Arch Dis Child. 2009;94(4):278–281. doi: 10.1136/adc.2007.132290. 26. Bressan S, Gomez B, Mintegi S, et al. Diagnostic performance of the lab-score in predicting severe and invasive bacterial infections in well-appearing young febrile infants. Pediatr Infect Dis J. 2012;31(12):1239–1244. doi: 10.1097/INF.0b013e318266a9aa. 27. Domingues О, Rojo P, de las Heras S, et al. Clinical presentation and characteristics of pharyngeal adenovirus infections. Pediatr Infect Dis J. 2005;24(8):733–734. doi: 10.1097/01.inf.0000172942.96436.2d. 29. Christensen AM, Thomsen MK, Ovesen T, Klug TE. Are procalcitonin or other infection markers useful in the detection of group A streptococcal acute tonsillitis? Scand J Infect Dis. 2014;46(5): 376–383. doi: 10.3109/00365548.2014.885656. 30. Ismaili-Jaha V, Shala M, Azemi M, et al. Procalcitonin is an important but not conclusive marker of bacterial etiology of acute diarrhea in children younger than 5 years. Original paper. Mater Sociomed. 2014;26(2):76–79. 31. National Collaborating Centre for Women’s and Children’s Health. Diarrhoea and vomiting caused by gastroenteritis — diagnosis, assessment and management in children younger than 5 years. NICE Clinical Guideline. London, UK: RCOG Press; 2009. 33. Guarino A, Ashkenazi S, Gendrel D, et al. European Society for Pediatric Gastroenterology, Hepatology, and Nutrition/European Society for Pediatric Infectious Diseases evidence-based guidelines for the management of acute gastroenteritis in children in Europe: update 2014. J Pediatr Gastroenterol Nutr. 2014;59(1):132–152. doi: 10.1097/MPG.0000000000000375. 34. Liu LJ, Yang YJ, Kuo PH, et al. Diagnostic value of bacterial stool cultures and viral antigen tests based on clinical manifestations of acute gastroenteritis in pediatric patients. Eur J Clin Microbiol Infect Dis. 2005;24(8):559–561. doi: 10.1007/s10096-005-1373-z. 35. Guarino A, Albano F, Ashkenazi S, et al. European Society for Paediatric Gastroenterology, Hepatology, and Nutrition/European Society for Paediatric Infectious Diseases evidence-based guidelines for the management of acute gastroenteritis in children in Europe. J Pediatr Gastroenterol Nutr. 2008;46(Suppl 2):S81–S122. doi: 10.1097/MPG.0b013e31816f7b16. 36. Henry BM, Roy J, Ramakrishnan PK, et al. Procalcitonin as a serum biomarker for differentiation of bacterial meningitis from viral meningitis in children: evidence from a meta-analysis. Clin Pediatr (Phila). 2016;55(8):749–764. doi: 10.1177/0009922815606414. 37. Baraff LJ, Oslund S, Prather M. Effect of antibiotic therapy and etiologic microorganism on the risk of bacterial meningitis in children with occult bacteriemia. Pediatrics. 1993;92(1):140–143. 38. Aabenhus R, Jensen JU. Procalcitonin-guided antibiotic treatment of respiratory tract infections in a primary care setting: are we there yet? Prim Care Respir J. 2011;20(4):360–367. doi: 10.4104/pcrj.2011.00064. 39. Assink-de Jong E, de Lange DW, van Oers JA, et al. Stop Antibiotics on guidance of Procalcitonin Study (SAPS): a randomised prospective multicenter investigator-initiated trial to analyse whether daily measurements of procalcitonin versus a standard-of-care approach can safely shorten antibiotic duration in intensive care unit patients — calculated sample size: 1816 patients. BMC Infect Dis. 2013;13:178. doi: 10.1186/1471-2334-13-178. 40. Schuetz P, Christ-Crain M, Thomann R, et al. Effect of procalcitonin-based guidelines vs standard guidelines on antibiotic use in lower respiratory tract infections: the ProHOSP randomized controlled trial. JAMA. 2009;302(10):1059–1066. doi: 10.1001/jama.2009.1297. 41. Bouadma L, Luyt CE, Tubach F, et al. Use of procalcitonin to reduce patients’ exposure to antibiotics in intensive care units (PRORATA trial): a multicentre randomised controlled trial. Lancet. 2010;375(9713):463–474. doi: 10.1016/S0140-6736(09)61879-1. 42. Pierce R, Bigham MT, Guliano JS Jr. Use of procalcitonin for the prediction and treatment of acute bacterial infection in children. Curr Opin Pediatr. 2014;26(3):292–298. doi: 10.1097/MOP.0000000000000092. 43. Jensen JU, Hein L, Lundgren B, et al. Procalcitonin-guided interventions against infections to increase early appropriate antibiotics and improve survival in the intensive care unit: a randomized trial. Crit Care Med. 2011;39(9):2048–2058. doi: 10.1097/CCM.0b013e31821e87918.